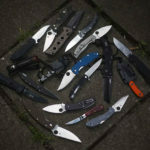 I have written a number of in-depth articles on the topic of blade steels and their relative strengths and weaknesses over the years – from detailing whether or not I think super steels for knives are worth it, to guides on how to sharpen stainless steels, all the way over to common knife myths and why they’re not true (again, many of which are about knife steels). Why Does Knife Steel Matter? 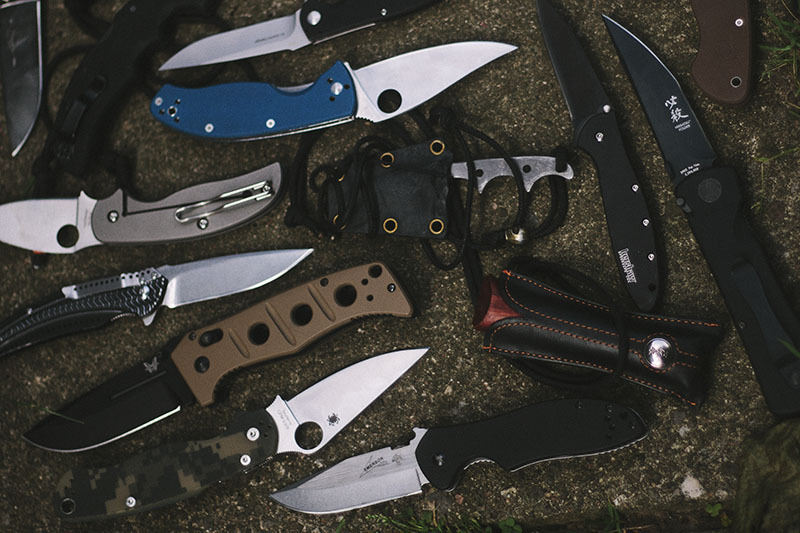 While steel in itself is not the only determining factor you’d use when discussing the performance of a knife, it’s certainly important, and arguably has taken front and center stage when it comes to advertising. 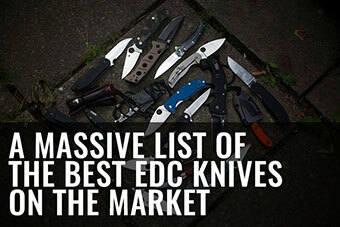 Very rarely do manufacturers discuss grinds or heat treat, and yet every year we are flooded with a deluge of the “next greatest super steel” that will completely revolutionize knives as you know them! This is of course absolute baloney because the upgrades in steels are incremental at best, and last year’s “top end steel” truly won’t be significantly (or noticeably) inferior to the current flavor of the month. At the end of the day, edge geometry, and not blade steel, is the most significant aspect of a knife with regards to real-world impact. 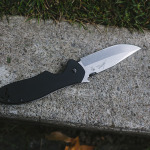 A glorified pry bar of a knife will not become a super slicer just because it has a high carbide super steel that is conceived with edge retention in mind, and in the same vein, an anemic filleting knife in CPM-3V will not be optimal as a beater/rough duty blade just because it features a tough steel. Like everything in life, we should try to view things logically and not get swindled and carried away by marketing nonsense. And while yes, it’d be nice to think your recently purchased knife with some newly created super steel meant that you were holding the latest, greatest, very best thing since sliced bread in realm of knives – if you’ve led yourself to believe this and thereby bought into the product hype, you’re unfortunately deluding yourself. With that said, some steels are better than others, and if you wish to drop big bucks to have the optimal performing blade in terms of matching the blade profile, edge geometry, and blade steel, then certainly there are steels that would be better suited compared to others. 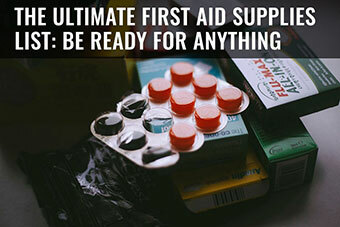 It all depends on what you’re planning on using that steel for. Right tool for the right job? Always true. And in this case, you’re going to be learning which blade steels make for the right tool for your particular right job. First, let’s take a look at the more common elements used to manufacture steel. It’s important to note that I didn’t list all of the elements of steel composition to the chart below. Nitrogen (used in H1 steel and supposedly in Busse’s INFI steel), for instance, I have not listed. I did not go into length over the elements’ reactions with other elements either, but rather, just focused on an overview so as to help you clearly understand what goes into the making of a steel. Bare this in mind as you take a look! Chromium (Cr) -Imporoves hardness, toughness & tensile strength. Cobalt (Co) -Enables higher temps when quenching during heat treat. -Works well with other elements to boost properties in complex steels. Manganese (Mn) -Allows higher levels of hardening. Molybdenum (Mo) -Improves ease of machining. 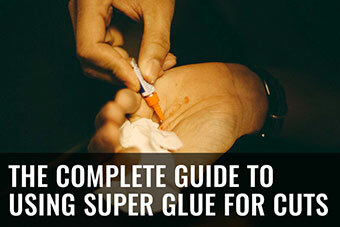 -Increases harden-ability, toughness & strength. Nickel (Ni) -Adds corrosion resistance, hardness & strength. Phosphorous (P) -Increases machinability, hardness and strength. -In high enough concentration, causes brittleness. Silicon (Si) -Increases tensile & yield strength. Sulphur (S) -Improves machinability but lowers toughness. Tungsten (W) -Increases strength, hardness & toughness. Vanadium (V) -Increases strength, hardness and shock (impact) resistance. While the above table is a good primer on steel composition, steel foundries have over the years developed new ways to make steel – from powder metallurgy to exotic friction forging. The elemental composition will only tell you so much, and at the end of the day, you will have to go with your own experiences on top of the information floating around the internet when ascertaining the viability of a specific steel for your given purpose, especially considering the ridiculous amount of hype on various forums whenever something new is introduced to the market. Being a cynic is strongly recommended these days. Ability to hold an acute edge. This is probably the most important metric if you consider a knife’s core purpose to cut. When discussing steels and super steels, the measuring rod is usually based on edge retention. Check out the excellent testing by Jim Ankerson concerning edge retention of the current crop of modern steels at their respective hardness. The ability to flex under load without fracturing. Not necessarily tied with toughness, as a filleting knife needs to have high ductility without needing to be tough. The ability for a steel to absorb impact before fracturing under stress. A good example of a tough steel is S7 tool steel. Note: toughness is not at all the same thing as hardness. In fact, many times the hardest steels are not the toughest, as the hardest steels will fracture under stress much easier than slightly softer steels. If you work near salt water or live in a high humidity area (looking at you Florida!) then corrosion resistance will probably matter a great deal to you. Stainless steel is generally considered to be a steel with 13% or more of chromium. As per the name, stainless only means it is resistant to staining (i.e. “stain less” not “stain free”). Stainless steel can still rust under the right conditions. 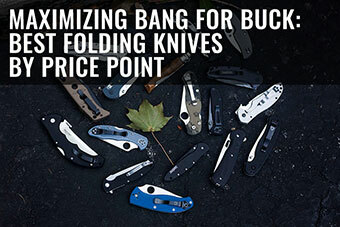 If you are having issues with stainless steel, and want something that’s basically rust proof (not merely stainless), then check out blades made out of H1 steel (example: the Spyderco Salt series knives, like the Pacific Salt) and X15TN (example: this version of the Benchmade Pardue). Blades made out of these steels will be an optimal choice for high humidity areas. Some manufacturers chose not to harden steel to optimal levels for edge retention. 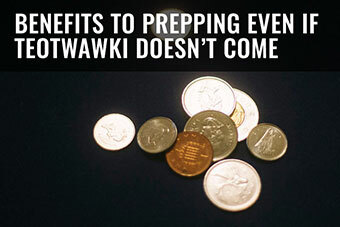 Some do this due to lack of manufacturing tolerances, others because they prefer to heat treat a knife to the lower end of the hardness scale so that it can handle higher levels rough use and thus do not have to budget for more returns under warranty. 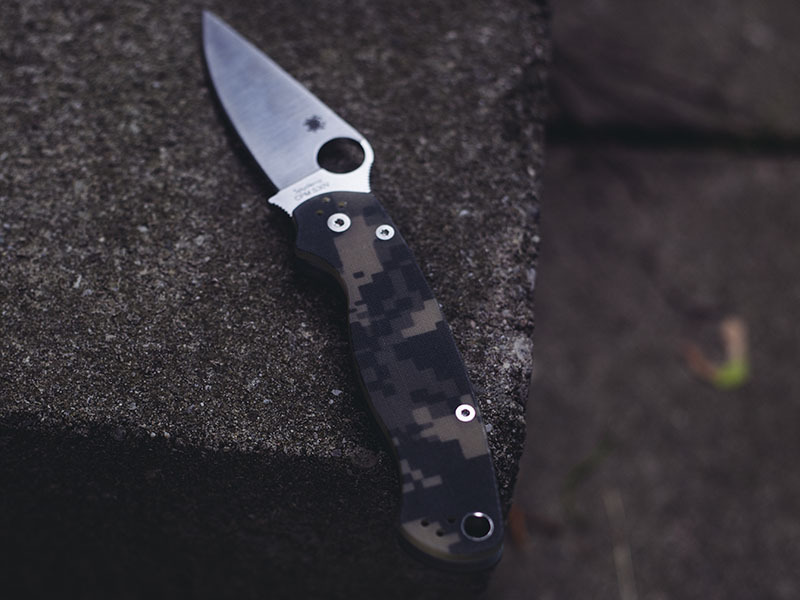 Whatever the reason, it’s important to note that CPM S30V from Spyderco (used for the Paramilitary 2) will have marked difference compared to CPM S30V from Kershaw (used for this version of the Kershaw Blur); so don’t go looking at the steel type exclusively without doing your due diligence. Before we get to the nitty gritty, I want to explain my choice to not use numerical values in my tables. I do not wish to use loosely defined metrics such as “7.5 out of 10 edge holding” or any other derivative metric due to the shifts in the steel landscape over time. To use a metric today would mean that in 10 years time, that metric would no longer be accurate, as the ceiling gets pushed higher and higher over time. Consider that 30 years ago, 440C was considered a premium steel! As a result, here I’ve used metrics (ambiguously) that I think will stand the test of time: the name, general purpose of the steel, and ease of sharpening. 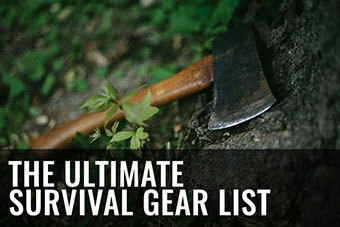 My list is not exhaustive. If you want a digital spread sheet of all steels and their compositions, check out the zknives steel chart! Concerning edge retention and toughness, for further research you may want to consult charts from credible third party sources, as well as rankings from respected aficionados like Frank R. and Jim Ankerson. You’ll also find the world of performance cutlery interesting if you’re looking for a more exhaustive analysis; if this strikes your fancy, check out the detailed work of Cliff Stamp here and the CATRA testing results here. And finally, if you want me to add a steel that’s not listed below, please just leave a comment and I will get to it (even if it’s not suggested I will update these tables with more steels as time allows). The following are common misconceptions that are spread around the internet and/or that have been submitted as questions from readers. If you have any others please comment so they can be included here! Inox, Rosterfrei, & surgical steel are not the names of steels, but undefined categories that denote a stainless steel. There is no reference for composition or quality (they could be composed of just about anything). As noted previously – hardness does not imply toughness. 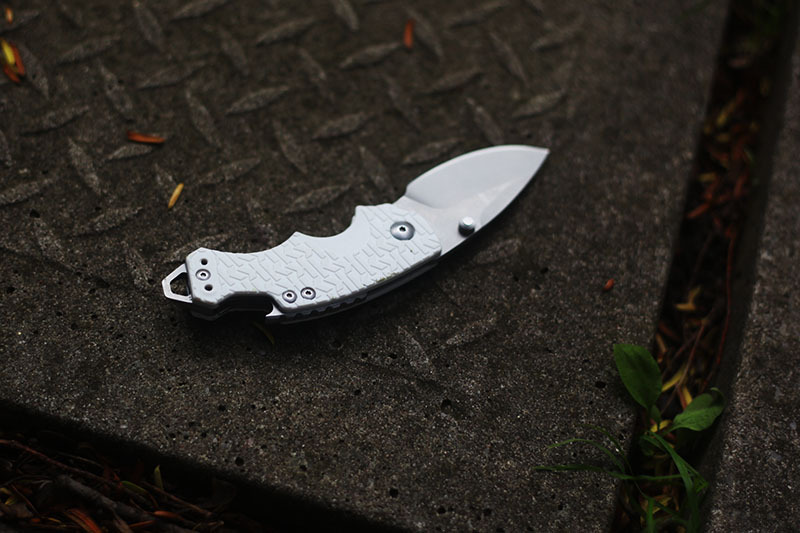 A hard blade designed for edge retention like a CTS-204P Southard by Spyderco will not be tough in terms of tensile strength. The same thing can be said about a 1075 chopper like the Condor Hudson Bay; it’s tough but definitely not hard. A CPM-S30V blade hardened at 60HRC will handle very differently to a CPM-S30V blade at 57HRC. Check out Ankerson’s steel rankings for real world testing. A better steel won’t necessarily make a better knife. The steel may be the soul of the blade but the ergonomics are the heart. 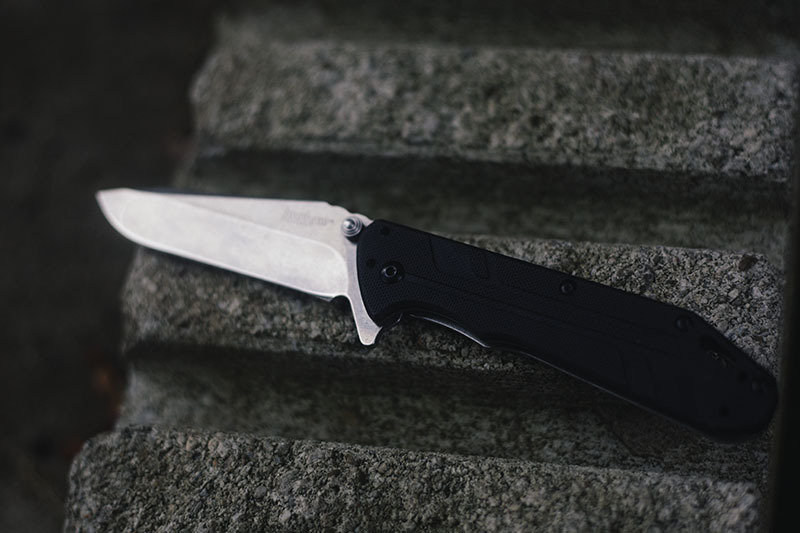 A comfortable knife with good edge geometry will perform better in real world scenarios. Don’t be blinded by marketing gimmicks. A hair whittling sharp edge is dependent on your patience when sharpening. Steel matters up to a point, but more importantly, it should be obvious that the edge stability of a hair whittling sharp knife will be sub par. The edge will deform very quickly should you use it for any kind of real, practical work. Once again – marketing gimmicks are not representative of real world performance. A hair whittling sharp edge can be put on an inexpensive Victorinox Swiss Army knife, but slice a sheet of paper and it will be gone. San Mai & Laminated steels are not types of steels, but rather a process of cladding a steel with a different steel to offer a benefit, whether its corrosion resistance (inner carbon steel core clad with stainless steel) or for strength/toughness benefits like Cold Steel’s San Mai III. Damascus steel is the process of folding or fusing two different steels together. Known for its unique patterns when etched with acid, it is primarily used for aesthetic purposes and not (contrary to popular belief) for performance. Collectors on forums will often dismiss some steels based on perceived inferiority, but realistically speaking, there are no “pot metal” steels used for knives from known manufacturers these days. Technology has advanced significantly enough to make a passable steel knife trivial to mass manufacture. Some may hold an edge better than others but unless your buying a Pakistan garage sale special, all will hold an edge. For a while at least. Still Have Questions About Blade Steels? If you’ve got any questions about blade steels that I haven’t answered above, or need something clarified, do leave a comment down below with your question. I am a huge fan of my Benchmade Barrage with S30V steel. Other Benchmade knives I’ve had before were in 154CM steel. I am currently seeking to purchase a Microtech U.T.X. 85. From what I can tell, CTS 204 P is the only blade steel they are offering. I have a friend that has has a 70 in ZDP 189. I know that is a very hard steel. I’m just not familiar with the CTS 204 P steel. Any thoughts about this steel? Pros or cons over the ZDP 189. 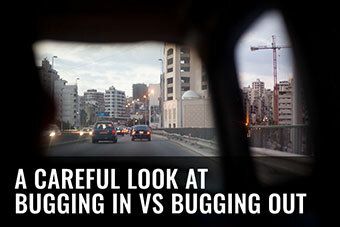 To be honest, I doubt you would notice much difference between the two. I have quite a bit of experience with ZDP 189, its a fantastic high wear steel and I imagine CTS 204P is similar. This is a great article and it really cleared up a lot of questions for me. I would like to purchase a cold Steel Recon Tanto but I don’t know weather to get it in 3v steel or san mai steel. I have noticed online that not much is known about the properties of vg1 (other than what cold steel has told us). If you could help clear that up for me it would be a great help. Thank you! CPM-3V is a very tough tool steel, the San Mai version will be weaker in theory with regards to tensile strength but will handle corrosion/the elements better. Personally I would go for 3V but thats just me! Thanks for the article. I have noticed heat cracking on the final grind on some Chinese D2 blades. Is this more cosmetic or will it effect the performance of the blade. How deep do these cracks go? I have seen these before from the steel getting too hot in the grinding process. I personally have never seen it, but it could definitable impact the performance of the blade. Do you have a photograph I could take a look at? I’ve few questions though, if you don’t mind clearing it up a little, it is very confusing for newbies to get ‘good information’ as everyone makes a review these days. I live at a relatively humid place and closer to sea. So, I was thinking it would be good to go with relatively low Carbon steel. But there are no local suppliers with good rep that produce those things. I happen to have access to only 10xx series here, so if you could tell if it is good to buy 1055 or 1065 steel knife for general wood cutting and batoning and other camping jobs? Or should I really consider opting for more expensive thing and import it from somewhere else? Also, how does 1055 or 1065 fair against 410A? Someone gifted me with 410A blade, bit small but want to know which one would be better for what task. Carbon steels will have superior tensile strength (toughness) and edge retention relative to inexpensive stainless steels. I would recommend “basic” carbon steels as they are hardy and predictable with great results in the real world- don’t get too obsessed with supersteels as most advantages are only apparent in a lab, not in the woods. Is 205 stainless a good knife blade steel? I can’t find much info on it. Not much info on it because its not a knife steel. What knife have you seen with 2XX series steel for the blade? I have a cheap Chinese Timber Wolf Pyroclast assisted opening folder with 205 on the blade. What are the pros and cons of this steel? The knife is very sharp. Will it hold the edge? Will it be hard or easy to sharpen? It just has “205” etched on the blade. Doesn’t say stainless or carbon or anything else. I like the knife, but it’s a cheap one. I have honestly never heard of said steel nor have i seen it in any knife. Are you sure its the steel type and not the model number of the knife? Thanks a lot for the insights. Even though the type of steel is not priority no.1 in a blade, I was wondering if you might have any experiences with k720, n695, n690 when it comes to edge retention and ease of sharpening. I have found a knife I’m fond of and can’t decide between these 3 options and couldn’t find a proper view on this matter so far. Dan what’s better overall between s7 or Infi. Toughness, wear ect. Do it all, which one will excell over the other in. In terms of toughness, both will be beyond anything you could ever want in a blade. As far as edge durability, stainless properties and wear- I would wager INFI would be superior. Hi Thomas! 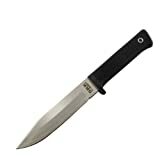 I was just wondering if you had any good quality assisted knives under $150 for recommendation? Thanks and great article by the way. but other than that, you will want to check out the Kershaw round ups- most of which are assisted. I personally love the blur. What are your thoughts on 9cr 18mov? What category would this steel fit into? My understanding is that it is comparable to aus10 . Depending on the heat treat, I would agree that it handles very similarly to CTS BD1/Aus-10, maybe even up to VG10 with the right heat treat. Interested to hear your thoughts on Micro-Melt A11 and Maxamet. Both have huge amounts of carbon like CPM-S90V. The Micro-Melt has a bit more vanadium than S90V, so I’m curious if it would be slightly better or perform about the same? As for Maxamet, what it lacks in vanadium it makes up for in cobalt. 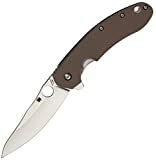 Both are being used by Spyderco, I may try and get one I just can’t decide which yet. Hey Madison, to answer your question succinctly- when it comes to high end super steels, the handling characteristics may differ but the edge retention variance will be minimal in nature. Nothing wrong with being a steel aficionado but I would be weary of marketing claims that don’t translate into significant real world performance. To this day, my favourite steel is Hitachi’s Super Blue. I love the edge retention coupled with easy(ish) sharpenability. Let me know what you end up getting. If nothing else, the resell value of supersteel Spydies makes them worth it. Thomas, I am looking for a good HC steel that I can make my carving knives out of. I am carving soft Cypress Knees which require a razor sharp thin blade at all times or you get a lot of wood tear. I make a 1.5″ straight edge blade with only one primary bevel on the entire edge(Flat ground). The blade needs to be no thicker than 3/16″, usually 1/8″. I have made these out of old German Straight Razors for years but need a steel I can purchase. Edge retention is the highest value. I spend a lot of time honing my blades. Then maybe Ductility so the thin points don’t break easily. Toughness and Corrosion Resistance are not important for this blade. 1095 takes a hard, keen edge and is easily available with a forgiving heat treat. You can take it up to 59 HRC comfortably in my experience. 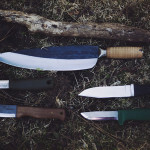 Thanks Thomas for this fine and informative article on knife steels. I have it listed in my favorites where it is immediately available of reference. Finally, someone trying to help us non pros to understand the true impacts of different steels, in real world, & how to choose a particular knife for a particular general purpose! Thanks! Personally, I have mixed results with Super Steels, as well as old, trusted “standards”. 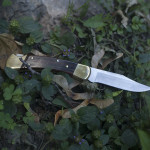 I have a few knives that were made by Jimmy Bartee, one of the first, founding members of the Knifemakers Guild. The are all 440C steel, & even today, they will favorably compare to anyone’s knife, of any newer steel, in the real world, of skinning & field dressing large animals! I also have several knives made by Bark River Knife & Tool, most of which are A-2 steel, that have exceptional performance capabilities. Thanks for the support Bob, truly appreciate it. 100% that a well made 440C knife will stand its own, even today, surrounded by high carbide super steels. Hi Thomas, thankyou for such an informative article I have learned so much and it is a good read to fall back on so thankyou again. Now I dabble in blacksmithing and in particular making my own knives. I have been using bearing race steels for my knives but they rust quickly if not cleaned and dried straight away, so my question is what material are bearings made from and what can I add to them to keep them hard and stop them from rusting. Also how easy is it to get my hands on some 1080 and some 1040 to make some Damascus steel. Glad you enjoyed it Jeffery, Ball bearings are (as far as I know) usually made of 52100 so it stands to reason that the tracks may be made of the same stuff? In any case, chromium is the default thats added for corrosion resistance. As for where to purchase steel- when I lived in Toronto we had a nearby industrial supply store with steel available cheaply in relatively large quantities. 1080 is commonly used so I suspect a nearby place should have some. Try looking up industrial suppliers and giving them a call! Very informative, I’ve been using it a lot lately. 5150 is listed, but not 5160, is that because there is so little difference, practically speaking? As I understand it, leaf springs (and coil springs?) are typically made from 5160? Getting ready to start forging knives, using a stash of leaf springs I’ve recently acquired. In practical terms, the difference will be almost imperceptible. 5160 is significantly more common (ubiquity due to its use as a spring steel). Good luck on the knife forging- send me some pics when you have some prototypes made! 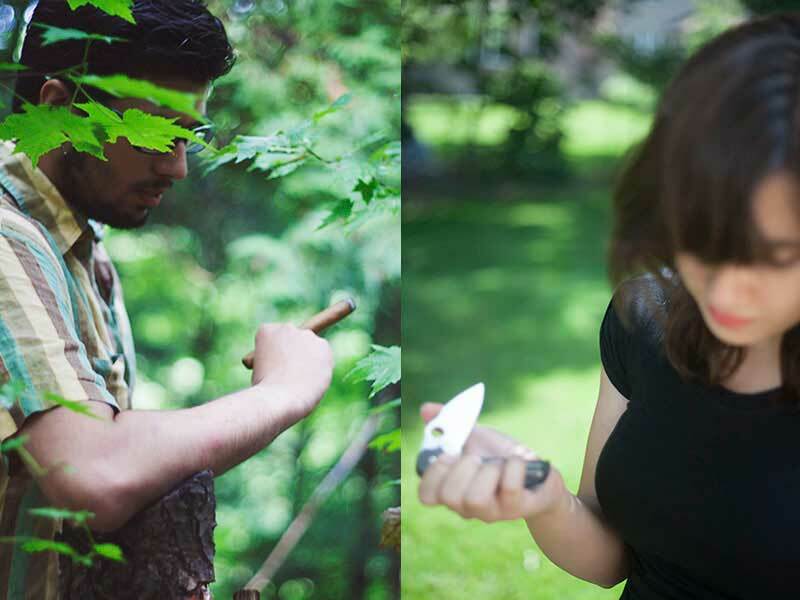 Friend, Many years ago I had a belt knife that would “ring” or “sing” as you scraped it across your palm. It was TOUGH to sharpen but stayed sharp. It’s loss is morned. I think it was hand forged. Any idea what it was? Can it be replaced? Its likely to be a 1080/1070 steel as it is a very forgiving steel to work with and commonly available which makes it a common option for hand forged options. Thanks for the feedback Billy, I really appreciate it! O1 is a great steel that is very forgiving to heat treat- always good to see new knifemakers in the industry. Knowledge is power indeed! Very happy to see this ! 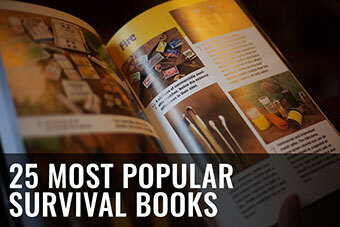 Not only trying to educate myself about steel and different hardness , stainless vs carbon etc., but a place I actually found enough material and general info to help others I am getting into knife collecting and good survival and camping , hunting applications etc. Thank you for the information. Great! You’re welcome William, I think its easy to be “blinded” by our choices these days and its good to view these “specifications” with a critical eye. Marketing nonsense rarely holds up to real world testing. By Far the best write on this subject I have found. Thank you for sharing your knowledge and experience! and the ability to write, wow, great job all around ! Keep them pumping out! Thanks John, I really appreciate you dropping by. 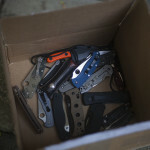 I’m trying to decide between 4 knives to send to send to my cousin who just made it into the Navy Seals.. The CRKT Shinbu made of YK-30 steel. 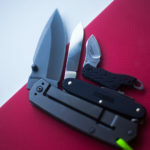 The Cold Steel Recon Tanto made of San Mai III, The Cold Steel Recon Tanto made of VG-1 and the Cold Steel Warcraft Tanto made of CMP 3V steel. In your opinion which of these knives is the best? personally I would love the Shinbu above all of those but from a practical perspective- the Cold Steel Recon Tanto may get the most use. 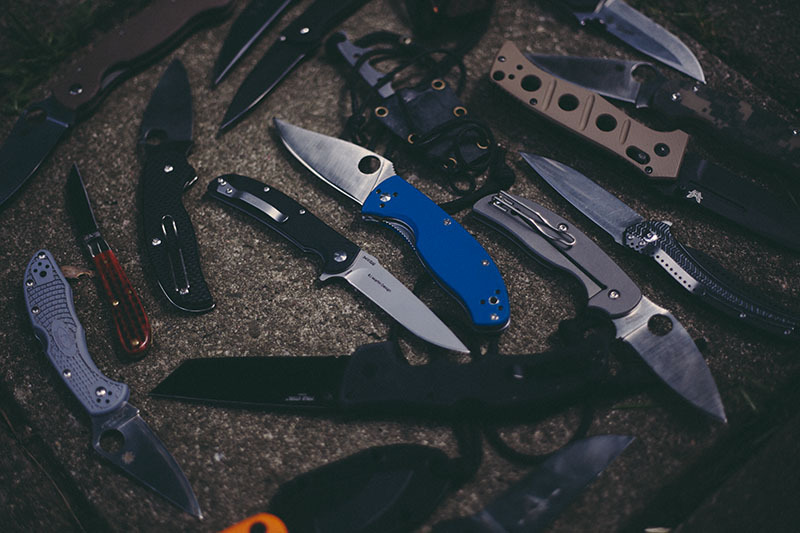 Might be a good idea to have a look at what he already has and see if he has a preference in terms of blade shapes (tanto’s vs Clip points) or grinds in general. Thanks for dropping by Bill! He loves tanto blades. Which Recon tanto would be better though? The San Mai or VG-1? San Mai is prettier and technically (potentially) tougher with significantly better corrosion resistance and the same edge retention as the VG1. So its a clear winner. Fantastic article. This is one of the most thoroughly covered resources I have found on the subject of steel knife blades. I appreciated the descriptions of each metal and how they would affect the blade. Thanks so much for sharing with us! Glad it proved useful Dean! Just wondering where VG 1 would fit in your comparison? Very similar to VG-10 as far as I know (general use, easy’ish to sharpen), I don’t own any knives in VG 1 though, so I don’t have any direct experience. Very interesting article. Just for your info. 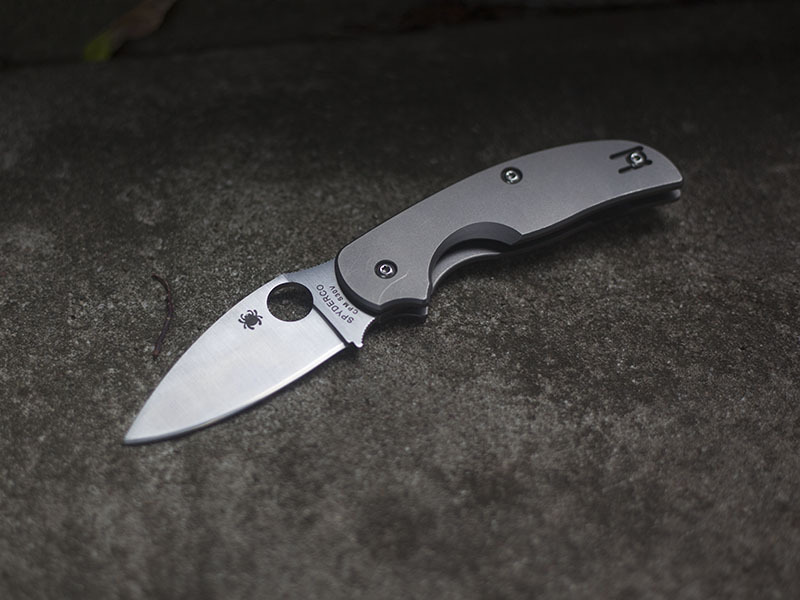 the Spyderco Southard is made of CTS-204P. Howdy Sylvain! I mixed up the Southfork (which is S90V) with the Southard! This is what I get by rushing. & not proof reading properly, ;) I’ll update the article ASAP. Thanks for letting me know, appreciate it! I’ll get on that- thanks for the compliment & dropping by Quintin! This is a great article, Thomas. I’ve been teaching myself some blacksmithing and forging and it is almost twice as much science as it is swinging a hammer for hours. 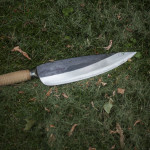 My goal for the end of the year is to have made my own full tang fixed knife for camping and the like….that doesn’t look like I ran over it in my truck. Metallurgy is quickly becoming something I’m very interested in. Blacksmithing and forging has a lot of useful applications I’m finding. Having this skill is something i’m determined to gain. I have often wanted to give blacksmithing a shot. I imagine I would be pretty terrible at it & that I would give up halfway through and instead just lie back and smoke a cigar but it would be fun to try! Good article. I tend to shy away from many of the “stainless” blades and prefer high carbon steels such as 1095 or similar. If a person wants something in more of a “stainless” category check the type of steel that has been used. Many ‘cheap’ blades will be made of 420 or 440 stainless. 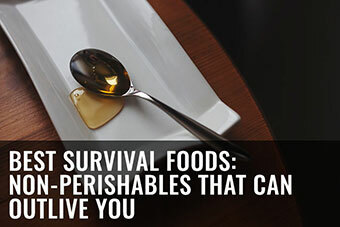 Try to stay away from those. A high carbon version of these type of steels will be listed as 420HC or 440HC. They will take and hold an edge much better. If you are not sure about the type of steel used…there are some coming from China that use different designations for steel type…type it into a search engine and look for it. You may find that what the company selling the knife says about the steel is a “little different” than what it really is. Again, I prefer a high carbon steel. It takes a little more care, but in my opinion, is worth it. 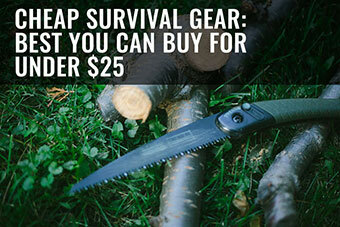 One last thought…get a blade steel that will do what you want it to. Example: A blade with razor sharp edge geometry will chip and break if used as a “chopper”…and a “chopper” will probably not make a good blade for more delicate work. Think “scalpel vs “hatchet” in this respect. Remember…there is no “perfect” blade steel as there is always a trade-off somewhere along the way. One last thing…if the blade is to be used in the “field”…make sure you will be able to sharpen it without a bunch of work or special sharpeners. Some solid advice here! 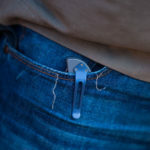 I definitely agree that for a field knife the ability to maintain the edge easily is a must have.. I love Mora’s for that exact reason. Terrific and detailed piece of work. Nice to see all this great info in one place..
Why thanks Dan, really glad you enjoyed it! Tomas, it is almost like you are trying to educate people rather than confuse them! Just wait for someone to post a question asking about the difference between 304 and 304L and 316 stainless and 440 and thus and such and on and on! Yeah, I am probably a sadist ;) To be honest I quite enjoy responding to comments- even when they are from trolls. I always find it irritating when I leave a comment on a blog & I never get a response- I think writers (within reason) owe it to respond whenever possible but thats just my opinion. Sometimes I do reply later than I would like but I do try to stay on top of it! Thanks for dropping by William!